One of the main concepts in creating a universal design look in a home is to provide features that do not call attention to themselves. They are subtle, nearly invisible additions to a space that allow anyone entering that room to notice the features for what they provide but not for anything special. They fit in and are just used and appreciated as the features they are. Aging in place solutions, on the other hand, are specifically aimed at addressing the needs (mobility, sensory, or cognitive) of one or more members of the household. If they appeal visually to others or are used by them as well, that is a plus but not a requirement. Often, we can create solutions that are unobtrusive and generally unnoticeable as being anything special but are quite effective. These are universal design features. How many people are remarking about a digital thermostat being something that is used because a person could not operate the dial or round mercury-switch thermostats even though it is a classic universal design feature? 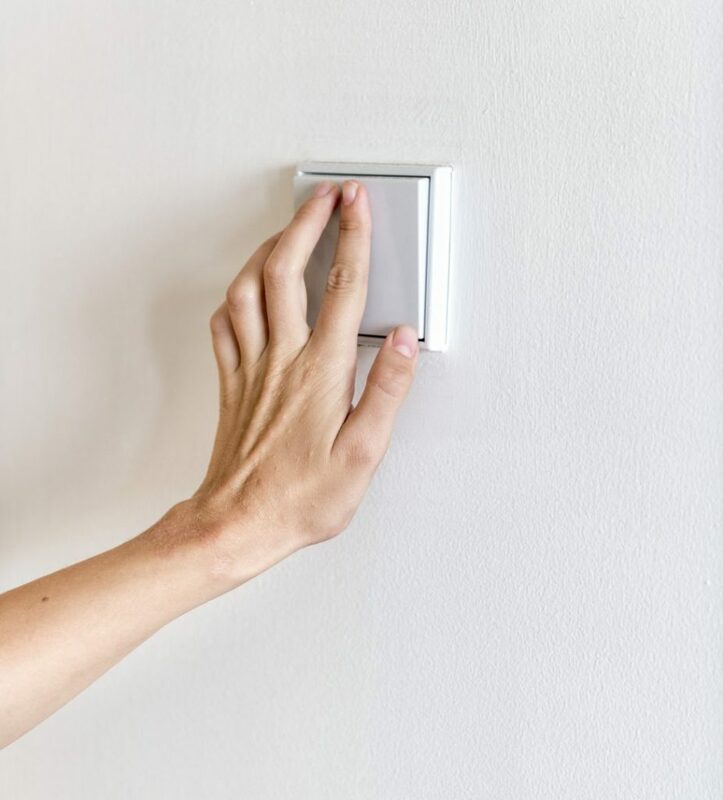 Or are people accepting a digital thermostat as a stylish solution (and at a lower, more convenient and accessible height) to the older, harder-to see, reach, and use analog thermostat? Are people generally tolerant of the universal design rocker-style light switches over the older-style toggle ones because they find them more stylish, less hard on the hands and fingers, easier to use, more tolerant of not touching them precisely, more accessible to all ages and sizes, and needing less physical effort to use? Are lever door handles catching on as a universal design features that require little physical effort to operate effectively and can be used well even if the hand doesn’t make full contact with them (or even if the back of the hand, the heel of the hand, a closed fist, an elbow, or something being held is used to depress the handle and release the latch)? Of do we still prefer the round door knobs that need to be fully engaged with a hand grasping all or nearly all of it and then rotating the knob to release the latch? Which of this appears to the newer, more contemporary design? The list of universal design features that we commonly accept in our homes goes on – single lever faucets in the kitchen, for instance. The point is that these features are used so often and fit into the décor of homes so well that no one pauses to consider how different they are from what used to be used before their introduction. This epitomizes the concept of subtle design because no one notices that they are somehow different than what we used for so many years prior their adoption or that they are universal design features because they really are effective for anyone with low physical effort, equitable use, and generally quite forgiving in how they are used and activated. Sometimes, however, we need a purely aging in place solution that is designed to accommodate the needs of an individual, and we are concerned about results more than appearance. We aren’t as interested in the solution being invisible, or nearly so, as we are in accommodating the client. When grab bars are used in the bath or shower area more than just being strategically placed vertical safety assist near the entrance, this is an example of an aging in place solution. Here we are interested in serving the client, and the placement, size, shape, and number of them is just for that purpose. What an observer sees or thinks of them is not our primary concern – meeting the client’s needs and their safety is. Similarly, a ramp that is required to allow someone to enter their residence – whether as a temporary measure or one that is more long-term – is an aging in place solution we offer for our clients who need it. An inclined walkway, when we have the ability to create one, is a universal design feature that serves the same purpose as the ramp and will be unnoticeable as anything but an attractive walkway to the front door that rises from its base to the porch or stoop near the doorway. There are many types of aging in place renovations, treatments, or solutions we need to create where we need to respond to our client’s needs first and be concerned about the aesthetics of what we are doing second. Sometimes, an aging in place result can be accomplished as an attractive universal design feature that fits into the overall home environment as an attractive application that does not can any special attention to it. Other times, its purpose supersedes the look or appearance of the design.